Continuing the November discussions, here is another question for everyone. 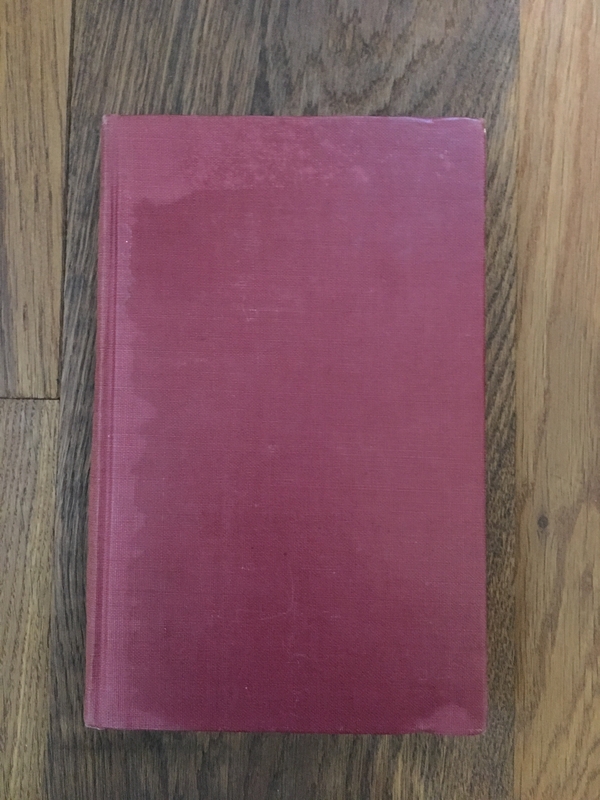 For this particular question I am looking for a specific item, not just a title of a book that you love the contents of. It's impossible to choose a single title, so I'm breaking the rule by pointing out three pieces. 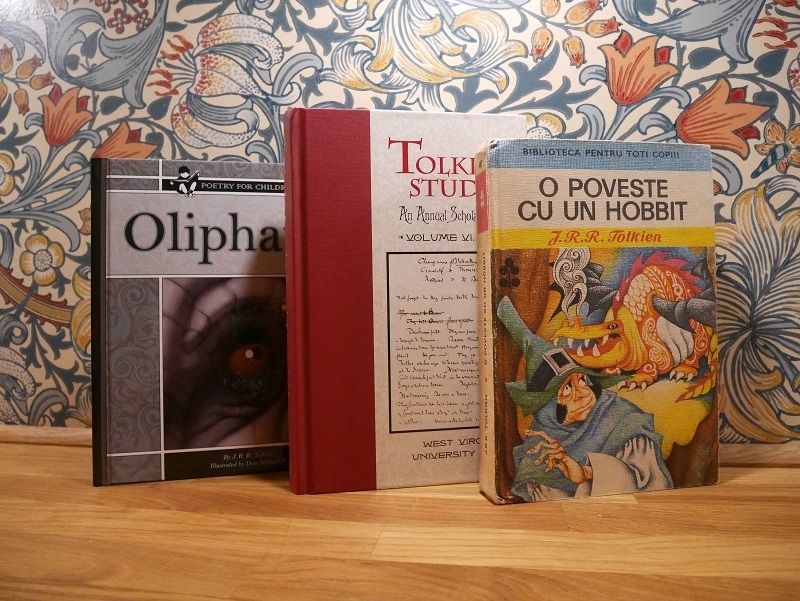 The first book — O poveste cu un hobbit — is the first Romanian edition of The Hobbit, published in 1975. I got it as a surprise gift from a a close friend and former colleague from Romania. 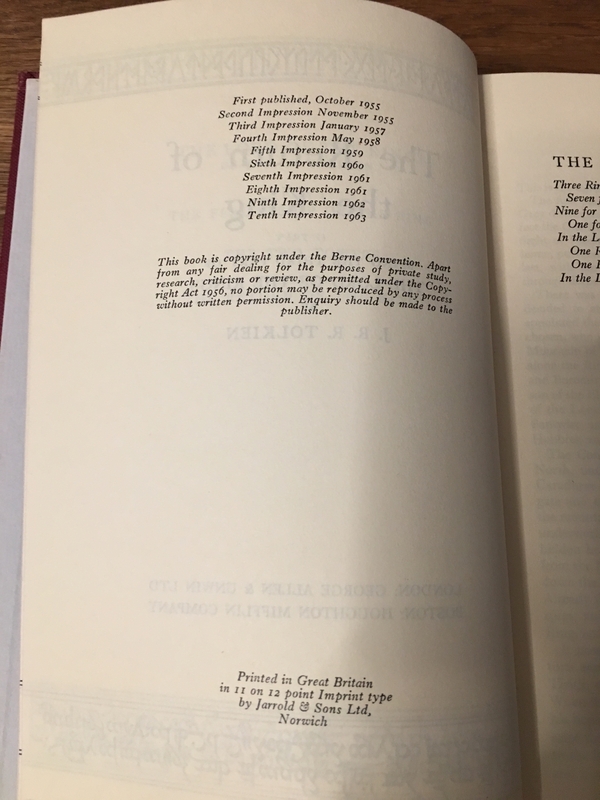 I had just quickly mentioned that perhaps he could look for this edition in antiquarian bookshops when going back to his home country, and he sort of said "well, it might be hard". Some month later, he surprised me at work with this gift: he had asked his family to find a copy for me, without telling me. The second "book" is volume 6 of Tolkien Studies. I had collected volumes 1-5 and 7 of the journal, when volume 6 went out of print. Seeing the prices online for (scarce) used copies, I figured I would forever have an incomplete set. Furthermore, the particular volume is a veritable tour de force of Tolkien scholarship, with contributions by Douglas A. Anderson, Verlyn Flieger, Christopher Gilson, Carl F. Hostetter, Stuart D. Lee, John D. Rateliff, and several others. However, after a couple of years of searching, one of these contributors notified in 2016 that he had a spare copy, and I was lucky to be the first to ask for it. I tried to offer payment and even a trade for another (rarish) item, but the scholar refused to accept any compensation. It was sent to me for free, with international shipping and all. The third — the 2011 Oliphaunt — is perhaps the only rare (in the true sense of the word) item in my collection. 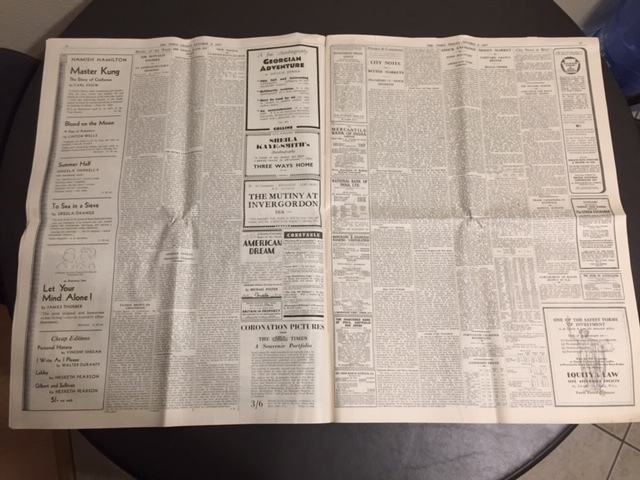 Some notes about the story behind this edition can be found here on TCG. Wow! Lots of cool items everyone. Morgan, v. 6 of Tolkien Studies is the only one I own because it was the first (and only time) I managed to get an article in there. Wish my article didn't have typos in it, though--my fault, of coarse. I'm attaching a picture of one of my favorite pieces in my collection. Who is going to be the first to identify what it is from the pic? A review of Tolkien's book The Hobbit written by C.S. Lewis. Great find! 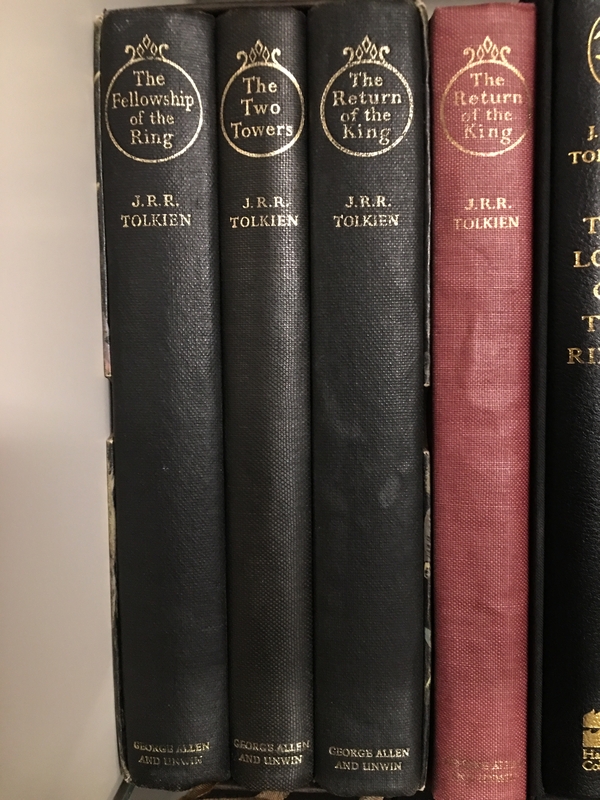 I like to collect uniform sets and one of my favorites would have to be the set of three matching black deluxe volumes from A&U: Hobbit, LoTR (India paper), and Poems and Stories. I shelve them out of their boxes lined up side by side. They're well-sized and well-designed (though I'd never choose to read LoTR on India paper). I like the speckled edges on the page blocks too! Another set of three I really enjoy are the three slim volumes illustrated by Pauline Baynes. I have a set of 1978 HM editions which are delightful; I only wish they didn't have a large block with text obscuring the art on the back cover. 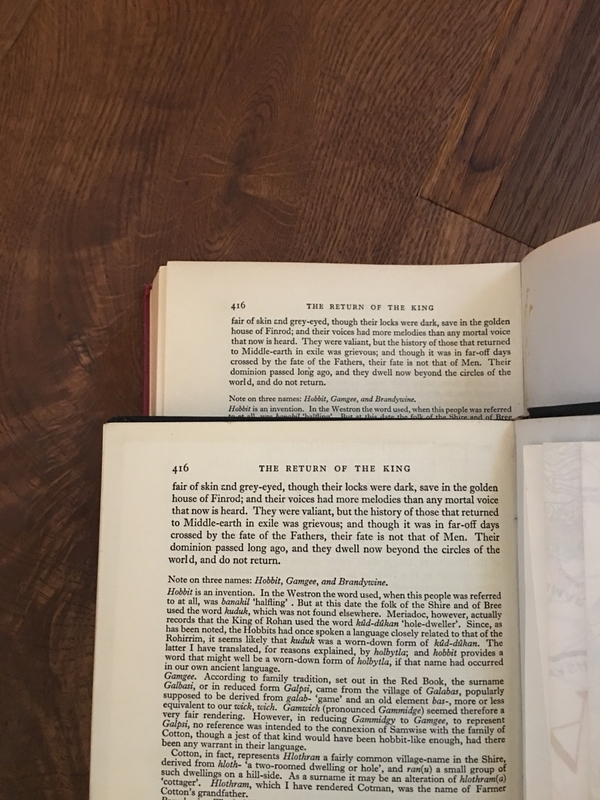 I was really pleased to see the cover art free of all text (including titles) used as endpapers in the recent pocket editions. I just have to agree Ulmo: I love as well my Collector's edition of 'War of the Ring' and recently got the LE extension of 'Warriors of Middle Earth'. But if you mean a book, it's definitely the mock-up copy of the deluxe edition of RotK, I'm very proud of! Very nice. I wonder what happened to the red mock up copies of the deluxe FR and TT? 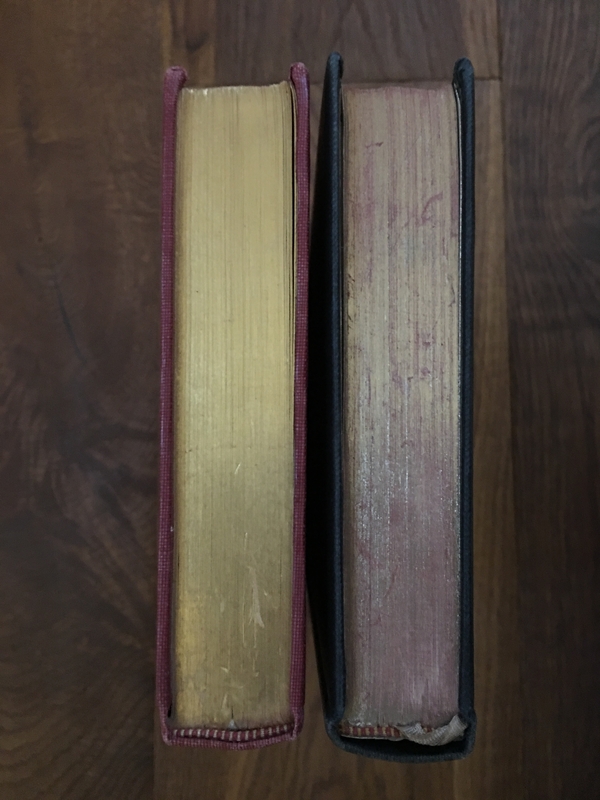 Is the red RK the same thickness as the final version? 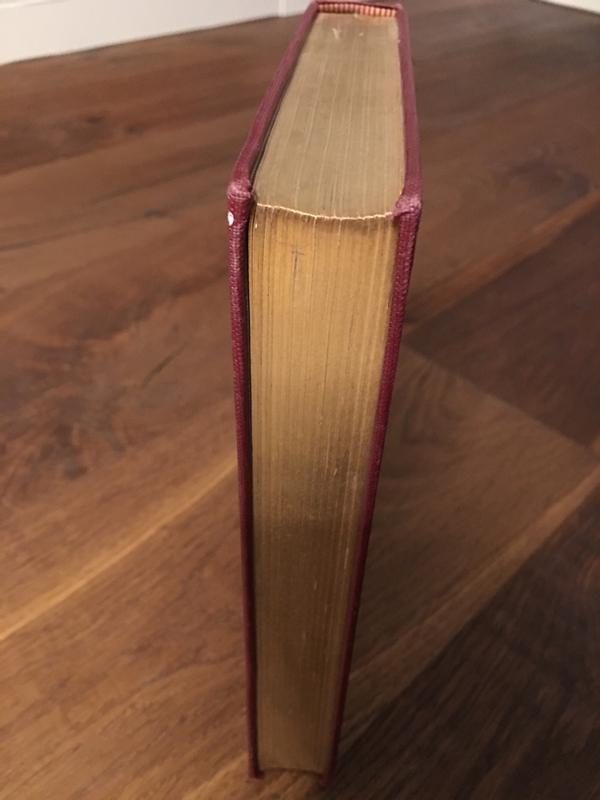 Yes, the books have the same thickness and numbers of pages. Even the boards are the same, concerning thickness and structure. Is it missing the map? - removed or never there? My favourite item that I spent almost a decade tracking down was the Weta Workshop Press Kit that Weta has released around 2003 showcasing all their work on the LOTR movies and, to a lesser degree, the other movies they’d worked on until then. The DVD came with a lovely book and call out cards that showed the breadth of skills Weta brought to the films they worked on. I had only ever seen one of these come up for sale in the decade I searched for it. And I’ve never seen one come for sale after. 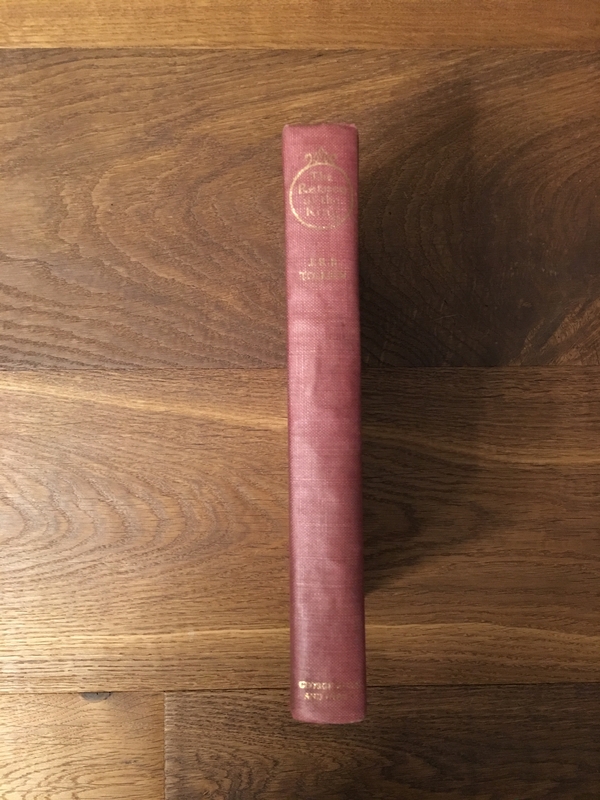 good condition, including the slipcase, and it was a delight to pore over it when it was the only book about Tolkien’s works that I had.